Sometime between President Obama’s 2015 and 2016 budget proposals for the federal government, President Obama’s idealistic promises failed to meet the tests of the real world, and now Americans are being asked to pay the price. At least, that’s the distinct impression we have after considering the major changes in the amount of spending that President Obama has requested for the four years from 2016 through 2019, which are documented by major government function in Table 3.2 of the Historical Tables in each fiscal year’s budget proposals. 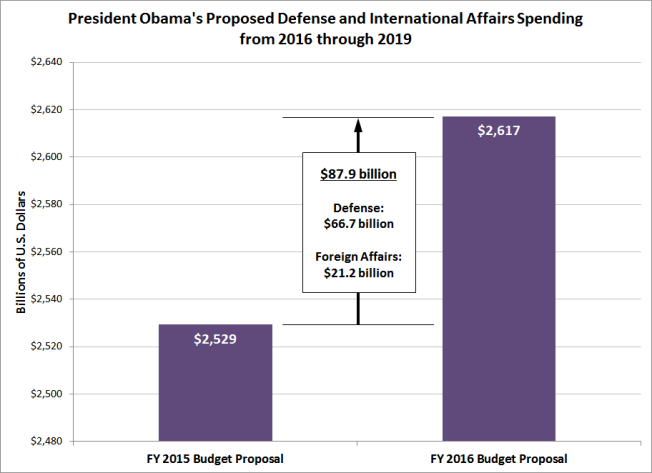 A really good example of the failures of President Obama’s policies may be found in the categories of Defense spending and International Affairs, where the amount of money being sought by the President from 2016 through 2019 has increased by $66.7 billion and $21.2 billion respectively. These increases are being sought almost entirely because of the need to reverse the multiple failures of President Obama’s foreign policy in the Middle East, where President Obama’s assessment that the region was sufficiently stable enough to remove U.S. troops from Iraq in 2011 has proven to be disastrously wrong, requiring new and extensive U.S. military action and considerable foreign aid. If there is an upside to that situation from a budget perspective, it can be found in President Obama’s projections for the savings on the amount of net interest that the U.S. will pay on its national debt to its creditors in the years from 2016 through 2019. Here, President Obama anticipates that the U.S. will benefit from a “flight to safety” on the part of the world’s financial institutions, who he expects will bid down the interest rates that the U.S. must pay on its debt. 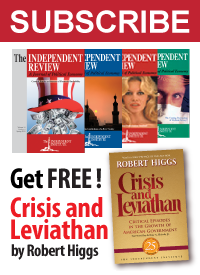 That flight to safety on the part of these institutions would be driven by their negative assessment of the world’s economic stability and of the world’s economic growth prospects, where loaning money to the U.S. government represents a safer investment than the available alternatives from their perspective. We should note that because it is tied to factors outside of the U.S.’ control, the flight to safety dynamic cannot be considered to be a sustainable trend, although it clearly establishes a perverse incentive for the U.S. to increase instability elsewhere in the world. In this case, the increase in economic uncertainty resulting from greater political instability from the failures of U.S. policies in the Middle East combined with declining economic growth prospects in both China and Europe benefit President Obama’s desire to increase the U.S. government’s spending. Here, from 2016 through 2019, President Obama expects that the net cost of paying interest on securities issued by the U.S. Treasury will fall by $202.2 billion compared to the President’s previous year’s projections, and are what President Obama is primarily relying upon to fund his domestic spending initiatives, such as universal two-year community college (or rather, the fifth and sixth years of high school), which is projected to cost the federal government at least an additional $60 billion over 10 years. But as we’ll reveal in our next installment later this week, the United States has its own negative economic winds to cope with in the domestic economy, which are also reflected in the President’s new budget proposal.